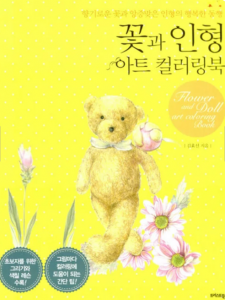 I hope you enjoyed the video review of Flower and Doll Art Coloring Book from Korea. 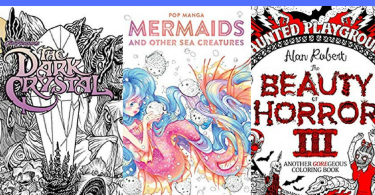 You may have already seen a sneak peek of this coloring book in one of my coloring book hauls or collection videos. I’m ashamed to say that I’ve had this little cutie for about a year I think! It’s not that I don’t love it, I just hadn’t got to it in my never-ending stack of reviews to do! I still remember when I first received it, the first page that it opened to featured the most adorable bunny! I never knew what was inside it when I bought it, sight unseen, so the beautiful bunnies within were a happy surprise for me. I hope one day that I can do justice to these fluffy bunnies when I color them. The cover features a fold-out and a prominent yellow background. 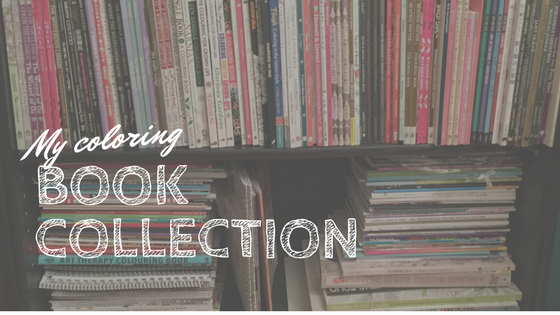 The bright yellow makes it super easy to find on my bookcase! The cover art appears to have been applied by a plastic decal. 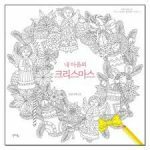 This Korean coloring book measures 27cm x 21cm. A colored title page commences the book featuring a scaled-down version of the teddy on the cover. 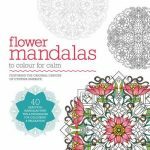 Overleaf circular colored thumbnails feature flower details from the book. 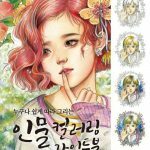 This is followed by 2 pages of colored thumbnails of images from the book and text in Korean. 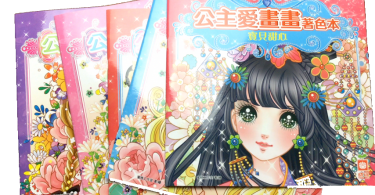 Flower and Doll Art coloring book is divided into two parts. 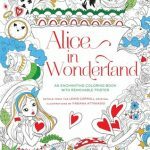 The first part features some techniques for how to color an apple, various shapes, leaf, teddy face and flower petal. 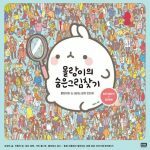 There are pictures for you to practice on and text in Korean with instructions. 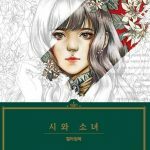 As I cannot speak Korean, I scanned the text with an app on my iPad called Scan and Translate. These translator apps are not perfect by any means, but it did give me some clues as to what the steps being described were. 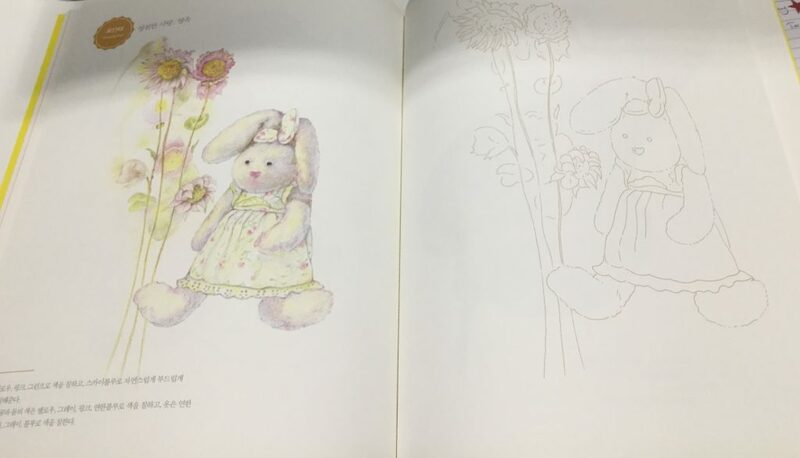 Part 2 starts with a page of circular colored thumbnails on a pink background, featuring all the cute characters included in the book like bunnie, , teddies and fairies. 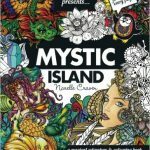 You can test your mediums on any of the pages featuring color techniques in Part 1. 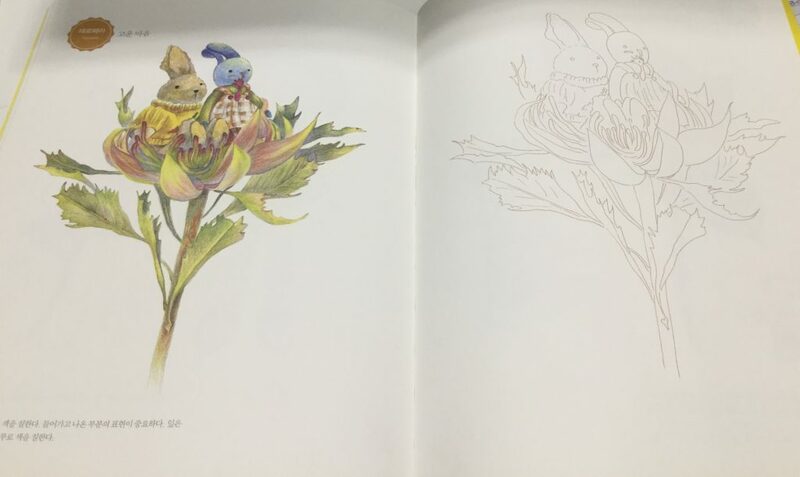 Colored illustrations have been printed on the right-hand side of the book. 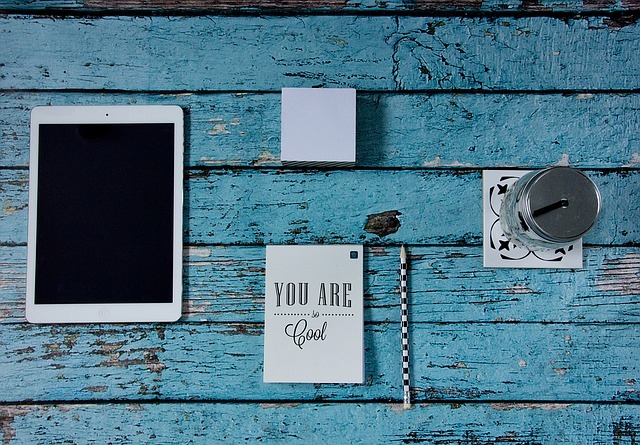 On the left, you will find a full sized colored image that you can use as inspiration or reference. There are no double page scenes in the book. All of the images have been well centered and positioned on the page. The paper is off-white and a medium quality. The book features a glue and stitched binding, making it easy to lay down flat. The artwork has been printed in a sepia/brown outline with a fine to medium line. It is a little difficult to see, particularly on camera. 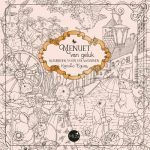 Each illustration has a focal point featuring the character included and at least one floral element. There are no backgrounds included with the artwork. The lack of backgrounds gives opportunity to colorists that may wish to add effects to do so using their own creativity. 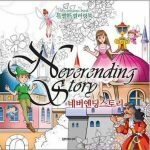 For colorists with a minor visual impairment or motor impairment, the lack of backgrounds and the large open elements makes the illustrations less challenging to color. However, due to the sepia/brown outlines a magnifiying lamp may be needed. 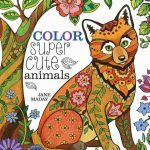 This coloring book features cute and whimsical artwork that is particularly suitable for colorists that want to learn new techniques and those that do not like heavily detailed imagery. For me, the artwork is completely charming and the artist manages to create so much expression and feeling in just a few lines. It’s a book that I hope to treasure and learn from for many years to come.